Born in 1942, married with Isabelle, six children, He is living in the neighbourhood of Brussels. He has studied mathematics, Philosophy and has a PhD in Russian and Greek Theology. He has lived in Italy, Brazil, and USA, and has lectured in Brazil, US and Europe. He has been during almost 10 years, working directly for Presidents of the European Commission Jacques Delors and Jacques Santer, as a member of the “Forward Studies Unit”, in the European Commission, from 1990 until 1999. He was in charge of the meaning of the European construction and of its ethical, cultural, religious, and political dimensions, in the context of the paradigm shift. 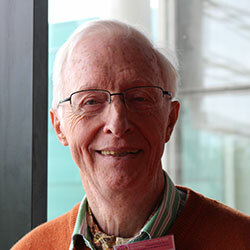 To read more about Dr. Luyckx, visit his personal site. Director of “Vision 2020”, a think Tank on the post industrial society (New paradigm). Expert for the Information Society Programs of the European Commission, Brussels. PHD (Doctoratus) in Russian and Greek Theology, (“Pontificio Istituto Orientale”), Rome Italy. 1972. Fellow of the “World Academy of Arts and Science”. USA. Member of the Exec. Committee of the Brussels-EU Chapter of the “Club of Rome”. ” Au delà de la modernité, du Patriarcat et du capitalisme: la société réenchantée.” Préface Ilya Prigogine (+), Prix Nobel 1977. Editeur: L’Harmattan, Paris. 2001. ” Neskey: An innovative research on Sustainable development and social inclusion” In Ianis Newsletter www.ianis.net/downloadables/repository/IANIS_NL_Oct_03.PDF October 2003, p.16.